The Stepped Frequency Microwave Radiometer (SFMR) is the primary instrument used by the National Hurricane Center to determine hurricane intensity. 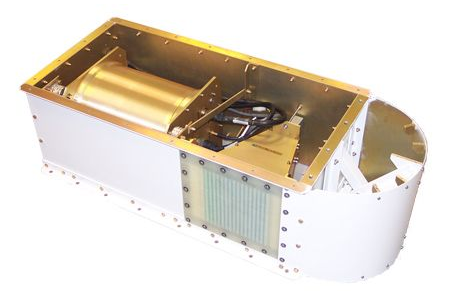 SFMR is an airborne radiometer designed to measure surface brightness temperature in 6 frequency bands spanning 4.6 to 7.2 GHz. Calibrated values of brightness temperature generated by SFMR are reported in real time to a windspeed retrieval algorithm, developed in cooperation with NOAA’s Hurricane Research Division. This algorithm generates a real time measure of surface level wind speed and rain rate in hurricanes and tropical storms. 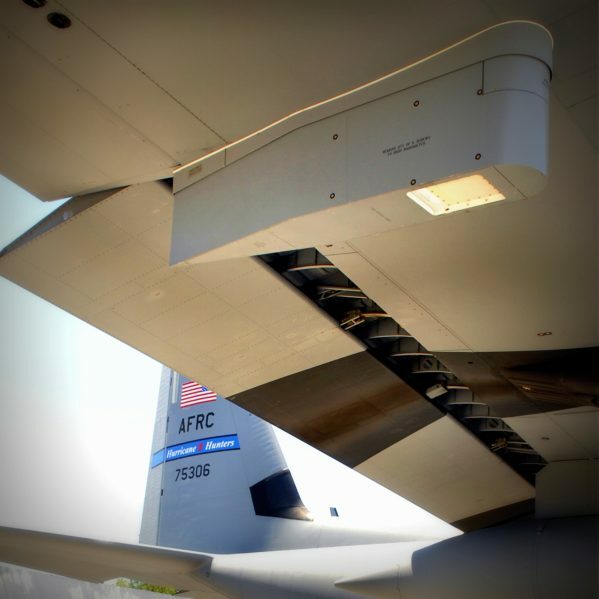 Each of the Air Force Reserves’ C-130 Hurricane Hunter aircraft is equipped with an SFMR, as are NOAA’s P-3 and Gulfstream 2 hurricane research aircraft.